RAZED is a lightning-fast, single-player platform racing game that's all about speedrunning. Sprint through dynamic neon levels in the quickest time possible, employing skills such as super-speed bursts, mega-jumps, drifts, stomps and strafes to bypass obstacles and uncover shortcuts to propel yourself up the online leaderboards. But there's a catch: powers cost momentum, and if your energy falls too low your shoes (and you) could very well explode. 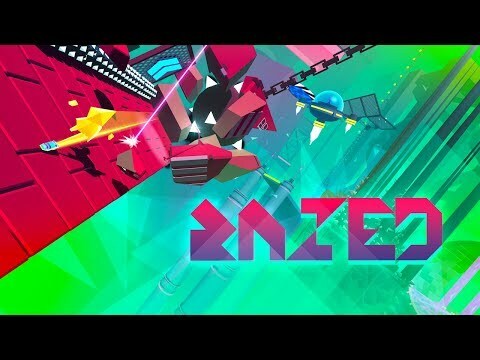 RAZED was released on PS4 and Switch 120d ago in the US and the UK. Notify me when RAZED is available.